Executive Director George W. McDaniel with Winchester, VA archivist Becky Ebert. 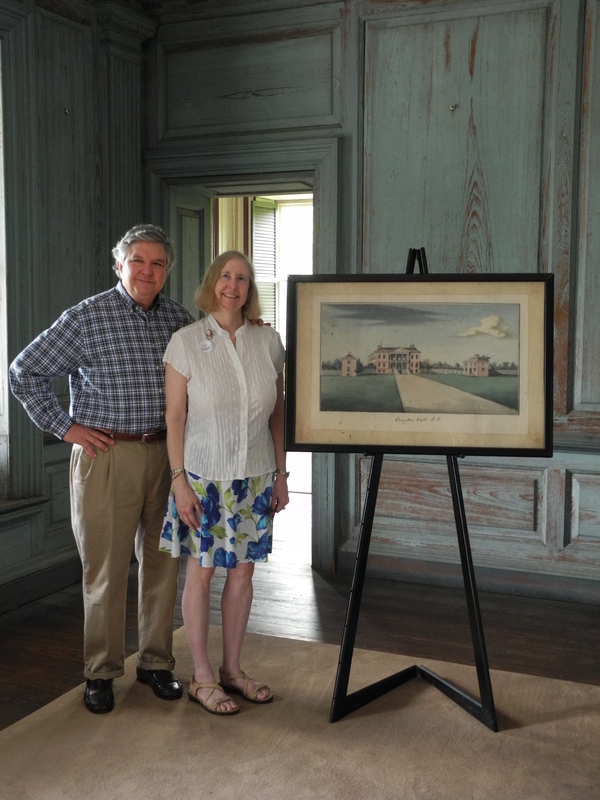 Archivist Becky Ebert, who aided our staff in the search for the mystery watercolor’s provenance, recently visited Drayton Hall. As told in the intriguing story featured on our blog in August 2009 and later in this New York Times article, the watercolor was sent to Drayton Hall anonymously in September 2007 (hence why we refer to it as the mystery watercolor). The envelope it was mailed in – postmarked Winchester, VA. 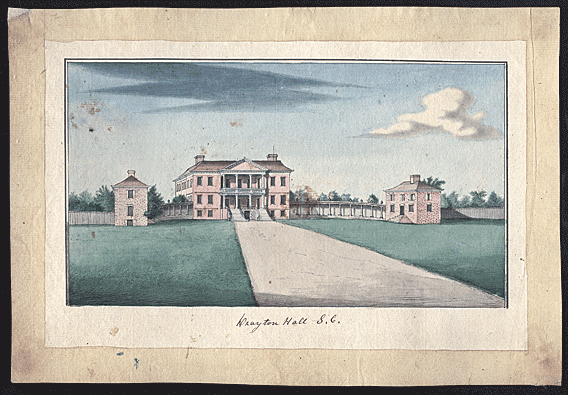 Prior to receiving the watercolor, the earliest known image of Drayton Hall dated from c. 1845, when the house was almost 100 years old, and the colonnade walls were already gone. When the 18th century watercolor arrived in the mail there was no note, and the envelope was simply postmarked Winchester, VA, zip code 22602-6754. Executive Director George W. McDaniel began a quest to find the owner of the watercolor, in order to find out the authenticity of the painting. He was referred to Becky Ebert, county archivist and expert on the Winchester’s history. A story was published in The Winchester Sun and the owner (who wishes to remain anonymous) responded to the story in the newspaper and acknowledged his ownership of the watercolor. Artist: Pierre Eugene Du Simitiere (ca. 1736–1784), Drayton Hall S. C. Dated “1765” on reverse. Watercolor, pencil, and ink on laid paper, 8-3/8 x 12-1/2 inches. Private collection. The watercolor of Drayton Hall was painted by Swiss-born artist and naturalist Pierre Eugene Du Simitiere (1736–1784), who also painted William Henry Drayton’s likeness. Painted during a visit to Charleston in 1765, the work captures the Palladian five-part plan of Drayton Hall, complete with flanker buildings to the north and south and colonnade walls connecting the three buildings. Du Simitiere’s watercolor also documents the now missing Doric entablature above the first floor of Drayton Hall’s two-story portico.